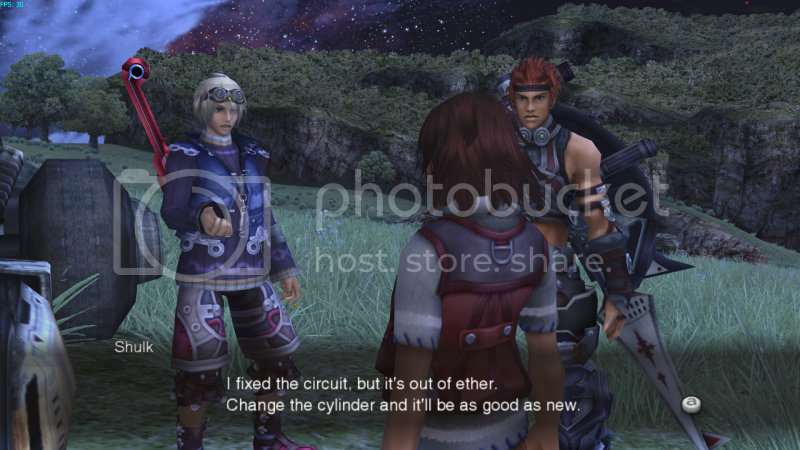 Well, while playing Xenoblade, I did get the feeling they did some recycling. The dude on the right got mad skillz, yep. I concur.... totally got a Xenogears "vibe" from alot of the visuals while playing this... which is a good thing... I mean if something is going to be recycled might as well be something worth experiencing again to some degree right? We need to get through these coldass winters somehow. Also Xenogears vibe? Sign me up. Those are pretty crazy. I saw Skyward Sword ones that were really awesome looking too. Thanks for sharing. I'm eying one of those i7s that can be clocked up to the 4.0+ for this reason alone. Legally of course. Oh, heres a screen cap with all the bells and whistles turned on (1080p, AA, everything). i7 990x woot. For anyone in the UK who hasn't got this, Gamestation are now selling for Ã‚Â£9.98 INCLUDING a genuine Wii Classic controller. Which is frankly nuts. Unfortunately, it also suggest sales weren't brilliant when it was released. On the other hand it HAS been a few months and we had a reprint, so it could go either way. Wow, thanks for the heads up. :D I really hope it comes back into stock. I already have it in Japanese, but at that kind of price I'll happily buy it again. I was planning on replaying it anyway, and I'd be curious to run through it with the British dub. Maybe I'll put the text in French or something too, so I can call it study and not feel guilty about throwing another hundred odd hours at a game I've already finished. Yeah...I said that its easy enough to find a while back. Sadly I have to call BS on my own statement. Unless I place an order for it, its pretty much unobtainable since stumbling upon it sitting on a store shelf is near impossible. Perhaps you may need to *puts on shades* import it. AAAAuuuu! Are you in a certain brown and red city with enemies roaming about? I found that area had a difficulty spike. Lots of exp though. Everytime I use a guide, something either ends up spoiled or I can't stop looking at it for every little thing. I don't like 'em much either.